DISCRETION IN SAY ON PAY: YEA OR NAY? Discretion in the board room has received its fair share of criticism, but not all discretion is created equal. The link between executive pay and performance is critical, but beauty is in the eye of the beholder. Institutions and their advisors, such as Institutional Shareholder Services (“ISS”) and GlassLewis, along with the SEC (further referred to as “stakeholders”) are continually pushing for more transparency, more linkage to pay and performance, and more formulas in company incentive programs – otherwise known as less discretion. Conversely, Compensation Committees and Boards have been elected by shareholders to determine fair and reasonable compensation in light of a number of factors – including performance. These board members, better than anyone, know their industry and what it takes to attract, retain, and motivate key executives. As a result, there is an escalating power struggle over executive compensation between elected board members and the stakeholders to determine what is right for the company and shareholders. The four key components, or buckets, of executive compensation are base salary, annual incentives, long-term incentives, and perquisites. The first bucket, base salary, is based on what the market or companies of similar size and industry are paying for that position. Because the market determines base salaries, there is little fluctuation and subsequently little attention from the stakeholders. The fourth bucket, perquisites, constitutes a small portion of total direct compensation and has received less attention from the stakeholders. In fact, many companies have been scaling these back in recent years due to optical implications. This brings us to the second and third buckets of compensation: annual incentives and long-term incentives. 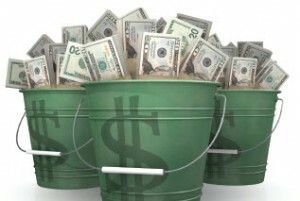 These two buckets of compensation are what the stakeholders, especially ISS, are honing in on, making sure that companies pre-determine their annual and long-term incentive plans and objectives hoping to ensure that shareholders do not lose value while executives make millions for mediocre company performance. A Formula Based Bonus or a Discretionary Bonus? The question becomes: How much of a company’s bonus plan should be formula and how much can or should be discretionary? The stakeholders would like 100 percent formula with little or no discretion; compensation committee’s want a balanced mixture of both. A compensation committee member recently said, “I know better at the end of the year how our company did than an excel spreadsheet can predict at the beginning of the year.” On the other hand, having a bonus plan that is 100 percent formulaic should calculate what an executive’s end of year payout should be based on performance. However, as with any formulaic plan, it is only as good as the goals and objectives that are set at the beginning of the year. With a volatile economic environment and companies unsure of what the next year may bring, setting threshold, target, and maximum performance goals are crucial to the viability and functionality of this program. Setting goals too high may result in no payout to executives, however setting goals too low may result in targeted and maximum payouts that are too easily achieved. This brings into question the possibility of manipulating and setting annual goals and objectives too low in order to make sure that executives get a bonus at the end of the year. No matter the case, the 100 percent formulaic approach to bonus compensation is influenced by discretion in setting the annual goals of the plan. The short-term future of annual incentive plans will likely move toward more formula for executive officers of a company. Specifically, those companies that have a 100 percent discretionary bonus plan will likely move toward a 50/50 balance of formula and discretion. Those companies that have a 50/50 approach may move closer to a 75/25 split between formula and discretion. While this movement may temporarily satisfy the stakeholders, the reality is board members will utilize their discretion to establish reasonable goals and objectives at the beginning of the performance period, such that the resulting payout may actually be greater than if they exercised discretion of the end of the performance period. Long-term incentives are probably the most scrutinized and publicized bucket of compensation today, as long-term incentive compensation can reach into the millions of dollars for executives. Long-term incentives undoubtedly link shareholders to executives; therefore shareholders want to see the connection between this bucket of compensation and total shareholder return (“TSR”). More companies are moving toward the use of performance-based compensation, such as performance shares or performance units coupled with a full value share program like restricted stock. This not only gives the Company the retention tool in restricted stock but gives shareholders the performance tool necessary to ensure that if shareholders are rewarded for good stock performance then executives will conversely be rewarded with a good long-term incentive payout, thus linking shareholders and executives. However, even implementing a formulaic performance based program that uses stock price as the key indicator of performance can sometimes be manipulated in the amount of stock that may be awarded if certain performance targets are met or even the scale in which payouts are achieved based on total shareholder return. The future of long-term incentive plans will likely move toward more formulaic based and performance based award, such as performance shares. This will likely prove to be the case, especially for the CEO. However, the payout to the CEO in good years (high TSR), will likely result in more shares than if the award was not formulaic.